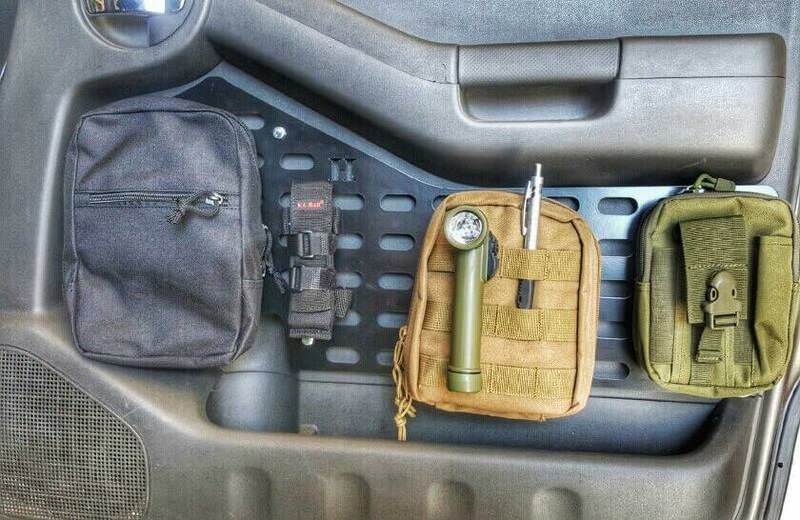 Get a FREE Molle Bottle Holder with purchase. Fits all 2005-2014 Xterra Front Doors DOES NOT FIT 2015 Xterra!! Utilize unused space on your doors to hang a variety of useful items. Designed to still allow access to your cup holder and cubby tray in your doors. 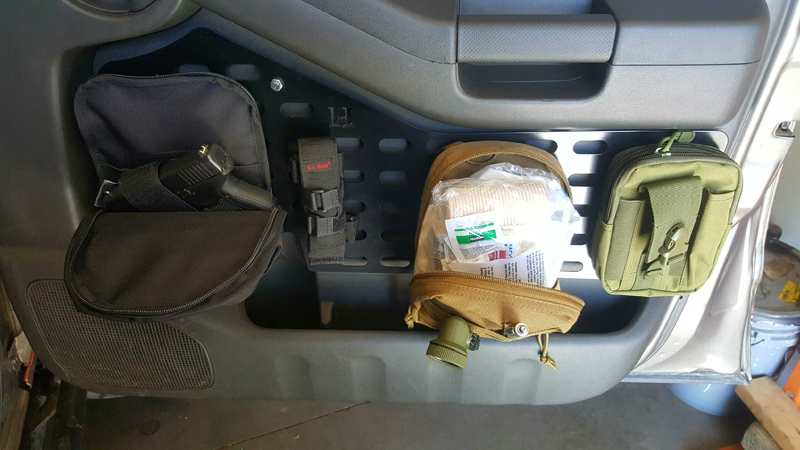 - Black concealed carry soft pouch---- Nisstec Lifts nor Heps Designs condones the carry of a firearm without proper licensing. Check with your city and state authorities for your local laws!!! - LED Mini Army Style light- White, Red, Green, Blue and flashing options.